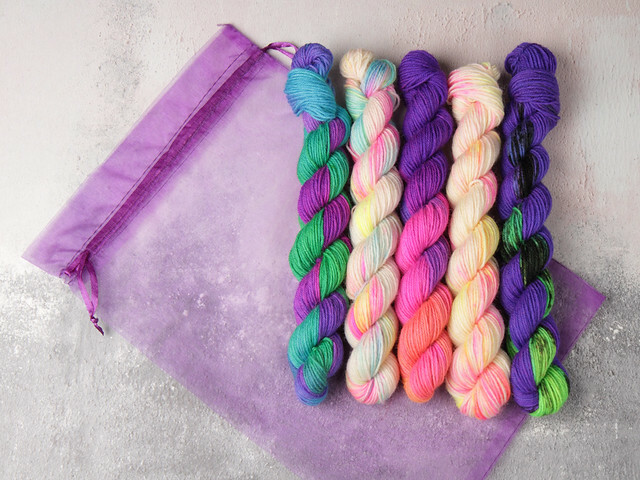 Our favourite variegated neons shades all in one pack! 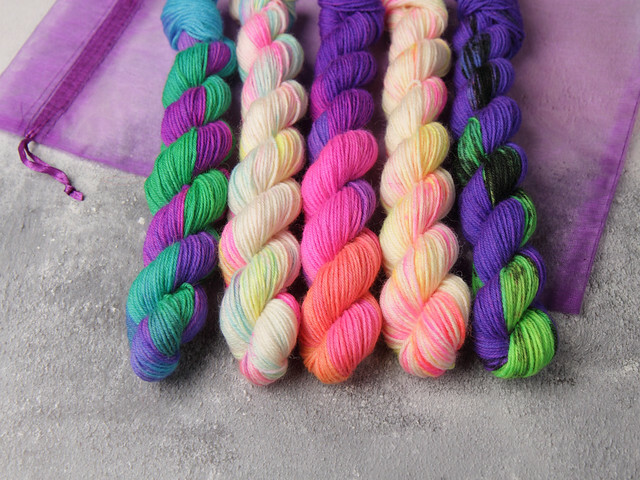 Colours: Neon Refraction, Beach Party, Overreaction, Sunset Beach, Badass. 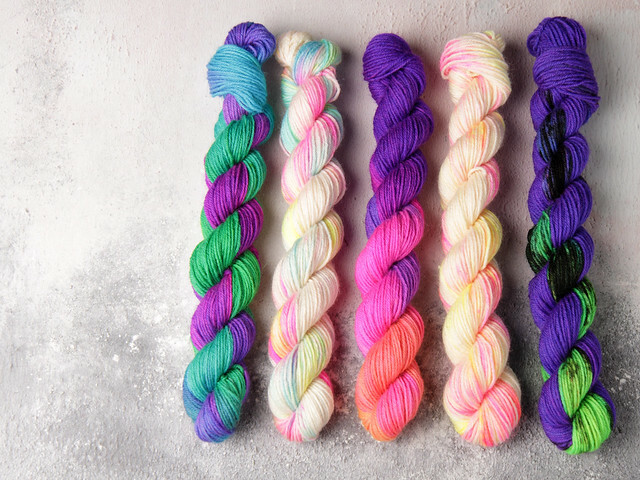 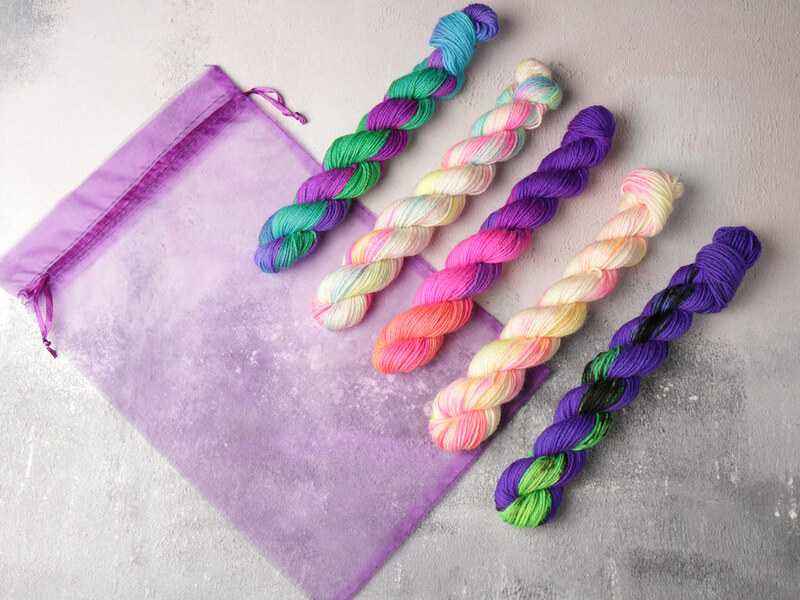 Why not team them with our neon semi-solids mini skeins pack?